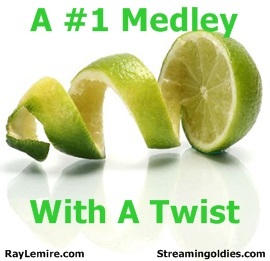 Last week I played a medley consisting of one #1 song for each year from 1960 through 1969. It seemed to go over quite well so I’m doing the same thing today … but with a slight twist. Every artist in this medley NEVER had another #1 song. Another great set of songs as always Ray. When I saw the names for the last song I knew exactly what song it was and made me think how I think some songs, stories, shows, movies … whatever give a glimpse into the future … I think this song fits … makes you wonder?? Thanks Ray!! Loved your selection set. These songs always bring back memories. Thanks for stirring up the old melon. Appreciate your time very much! Another winner Ray, always a trip down memory lane. Been a while since I have heard Strawberry Alarm Clock and Zager & Evans! Sure did, Del Shannon was always one of my early favorites too. Great oldies listening for a very wintery day in Lincoln Nebraska! Thanks Ray. I’m glad I could help get you through the day, my friend. Memories … it’s all about memories. You are becoming a habit at our house! The last one…we are already picking our sons and daughters from tubes!!! I don’t think the earth or mankind will make it as far as this song predicts. Thanks for the memories once again!